Follow @mcphoo Tweet The following index lists a suite of articles i've written about aspects of Z-Health. I'd like to preface these articles with the following overview i gave in an interview with Chris Highcock from Conditioning Research Nov 09. Chris asked "I have read a lot about Z Health over the last few years and it is often presented almost as a miracle panacea. I bought the basic Neural Warm Up Level 1 DVD and it just seemed to be a bunch of mobility drills. Must admit to a bit of cynicism. What am I missing?" I can kinda see how one might get that impression of “incredible results” because of where Z-health is focused. The framing of z-health is to get as fundamental as we can with what happens inside of us. The nervous system/brain connection is at the leading edge of this understanding, so z-health asks how does the nervous system work? Knowing that how can we work with that? In brief the nervous system works fundamentally as a governor of our survival, detecting threat or no threat, threat or no threat. As soon as there’s a detection of threat, the body starts a response process to enhance survival. That may be releasing stressor hormones for fight or flight, or starting up an inflammation process for healing, or simply shutting down full power to a muscle or setting up a pain cry so bad we have to go all foetal. The goal of z-health is therefore threat modulation. Now as to those mobility drills, it turns out that there are some great ways to talk with the nervous system via movement. We’re designed to move. We have joints in our bodies for a reason. So by moving the joints actively we are sending loads of all clear/no threat signals to the nervous system. As we move joints, we are also sending a very rich map of where we are in space to give the body increased options about how it can respond to a threat: the more joints perceived as richly mobile, the more responses to avoid an incident. The internet is sort of like this process: if an email message can’t get through via one route because it’s busy, another one is used. More options are better. To make this practical, let me take evil shoes as an example [i'll add in a link here to where i've written about this in more detail -mc] . A quarter of the joints in our bodies are in our feet. When we wear shoes their range of motion is reduced tremendously because many shoes have very thick and very rigid soles: they may only slightly bend at the ball of the foot, and not really twist easily. As a consequence, messages that would be coming to the brain about where our foot is in space at any given time goes down. There’s just not as many points of information firing back to the brain to say where every little joint is moving. Consequently there is less information the brain can use to keep us out of trouble if it senses we’re stumbling. If the only joints its getting rich signals from are the ankles as opposed to the tarsals, metatarsals, falanges, what’s it going to do? There was a study out this summer that said no kind of sneaker mitigated the incidence of foot injuries in the context of the army’s training [link about study added -mc]. No kidding: all these high tech sneakers do the same things: cut off our optimal signalling. The foot is one common example of what happens at every joint in our body. 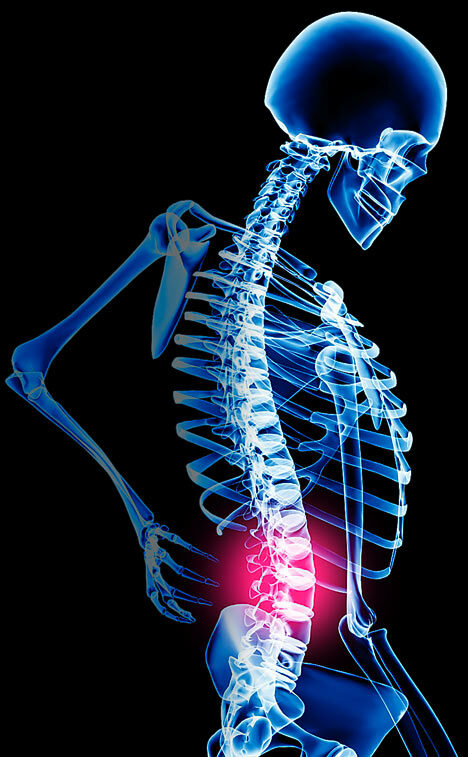 One of the challenges for many people is moving the bones in their upper spine back and forth or side to side. This means the back that should move in segments acts like a unit that’s not functioning optimally, so some other body part that is takes up the slack. Eventually pain will result. RSI, carpal tunnel syndrome, tennis elbow are all examples more times than not of movement related compensations, joints that aren’t moving through their range of motion. A lot of pain is movement based. Fix the movement, open up the signalling around the joints, give the body more of its options, and a way to map out where we are and what we’re doing in space, well being is enhanced. So z-health can seem pretty miraculous in the context of someone who’s had say a lot of manual therapy for a back problem, or has had what feels like chronically tight hip flexors, and they do a simple drill with a z-health person and suddenly they feel ok; they can move again; pain’s gone. Our nervous system – some of the fibres – is sending signals at 300mph, and responds immediately and exactly to what we’re doing. So yes change can be that fast. When we do it for ourselves, we’re triggering off thousands more nervous systems signals than when someone manipulates us, so we also really amp up our body’s ability to learn and hold that new pattern [example video added below -mc]. Now as for that r-phase dvd seeming like a lot of mobility drills, what you find when getting together with a coach (even though this is all in the manual, sometimes it helps to be shown), is the precision of the movements is important. It’s sort of one of the things that’s distinct about z-health. Hitting the target is a big part of getting the benefit of this signalling. Moving the joints at different speeds comes into this process, too. And finally, R-phase is the movement fundamentals. It’s designed for folks to go into i-phase as soon as possible. I-phase gets out of r-phases neutral stance and into a more template approached to movement where we practice the drills in loaded positions, for example, in a lunge with both feet at 45 degrees, and the head titled – a la catching a ball while running. Again the focus is on precision of these core movements translated to more challenging, realistic planes of action. It’s why I call i-phase where we “train for the sprain” – prepping the bod for weird positions by practicing that mobility. Some of it seems like magic or voodoo – with prescriptions on which way to look etc. Is there a simple principle behind it all that you could summarise? Once you get that we’re wired for survival and that everything in us is geared to survival – to perceiving and responding to threat, then the voodoo goes out and the “obvious” science comes in. The eye position stuff, by the way, is related to the nervous system again with respect to our visual systems. We talk about joint mobility and awareness of where we are in space. That’s proprioception. And it’s third in our way of perceiving the world. First is visual, second is vestibular, third is proprioceptive. So by finding out by assessment if someone may have an issue with looking in a particular direction, and working with that, problems that seem intractable just treated with movement can suddenly open up. Z-Health really tries to respect how we’re designed. As an engineer, that’s appealing. Diving Into Z-Health: where to start with what kit? If you'd like to dive right in, don't want to read further, just want to get going, here are a few recommendations for getting into Z-health practice. R-Phase. 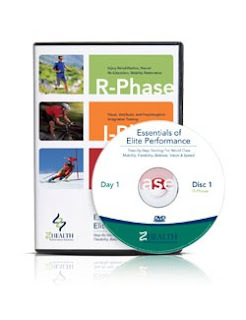 The best best way to start to explore z-health is the r-phase/neural warm up 1 kit (level 1 package). The r-phase suite is the fundamental drills for the whole body. The neural warm up is a sub set of these drills that can be done every day, quickly. They also include vision work. b2d R-phase DVD Overview. Includes coverage of what's in the R-Phase and Neural Warm Up 1 dvd's along with concepts in Z in genera. I-Phase. The follow on package is i-phase/neural warm up 2 (level 2 package). This takes the drills learned in R-phase neutral stance (standing tall) and starts putting them into more challenging, loaded, and real life postures that can also be readily adapted for sport or life specific work. There are more vision drills included as well. Vision training is talked about in more detail in the S-phase overview. b2d What's I-Phase and Why I-Phase?. I-Phase is the second stage of the Z-Health template. It's where you can get all sports specific with the application of the drills, and where it goes from postures in neutral stance to crazy pattern stuff. When to move from R-phase to I-Phase: b2d guidance. It may be sooner than you think, and that's great! S-Phase is the learn how to get super fast - which involves not only the body but the visual and balance systems as well. This is an awesome and inspiring DVD where concepts like bone rhythmn are letter ball catching are taught. As well as how to get up and GO from being on your back really fast. Here's the b2d S-Phase, Complete Athlete Vol 1 DVD review. Atheltes are strongly advised to have R/I under their belts before moving to the S-Phase drills. Getting The Full Monty: R, I, S together. If all this sounds like a profoundly good idea, z of course puts together all the above disks into a box set of dvd's and manuals. The workshop is also a great way to see if you're thinking about certifying as a z-health coach, to get a flavour for the program. If you do decide you want to certify, the cool thing is, your registration for the workshop can be applied directly to those courses, so you're getting a kind of double value from the workshop to the cert. This 2010 dvd is perhaps the best way to get an overview of Z-Health. It provides all the drills and assessments from the Elite Performance Workshop, so there's immediate take-away value for practical use either personally or for working with clients AND the cost of the DVD in its entirety will be applied to the workshop if you register for a workshop within 30 days of purchasing the DVD. The workshop provides hands on and discussion oportunities to check and tune your own performance, but the DVD gives you an ongoing reference to map after the course to the material covered, and before the course to prep up any questions, so you can get even more from the onsite experience. Of course you don't have to do the workshop, but my guess is you'll want to before you're finished the first disk. And like all z-health's material, it's 100% satisfaction guarenteed. Where science meets application for efficient, immeidately applicable performance enhancement. Trainers/Assessments And finally, if you'd like to connect with a z-health trainer to tune your personal performance here's a list. Now like anyone in anything, all trainers are human beings: the same rules apply for finding a great z trainer as they do for finding anyone you'd choose to work with you. if any of this information at begin2dig contributes to your deciding to do a z-health workshop or cert, or even get a disk or two, please let the z-health office know when you sign up or purchase stuff. Here's why: z-health has a great continuing education program: a trainer can re-attend any cert they've taken for free, forever. Ongoing Ed: if anyone takes a course and credits a current trainer with that encouratement/recommendation, that trainer gets credits - virtual dollars - towards a future z-health course. That's gold. So thank you for your kind consideration. I think you can tell i think this stuff is pretty wicked. Let's do more together. And now, really, back to the articles. Mobility vs Flexibility: is there a difference? Move or Die: Movement as Optimal Path to Health - and by the way what is Dynamic Joint Mobility Work. What's a Mobility/Movement Assessment and Why Have One? One less rep: it's ok NOT to finish a set. Hormones: middle managers of state change in the body. Turkish Get Up as Partial Movement Screen?
" How Many Reps of this Mobility Drill Should I Do?" 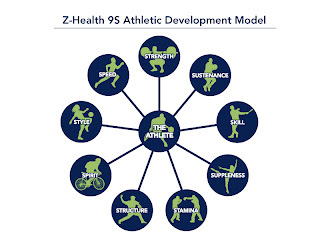 A key concept in Z-Health is the SAID principle: specific adaptation to imposed demand, and its relationship to learning stuff to become optimally, athletically efficient. the four elements of movement efficiency - in the path to the perfect rep and the kb front squat revisisted. 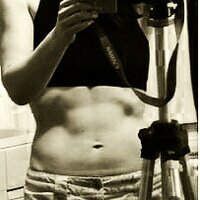 over at nopain2.geekfit: free your feet! Eye position to support rowing stroke. How get strong if PART of a muscle isn't On? R-Phase DVD's and Certification Review. An R,I, and S Z-Health Workshop Preview. Occasionally Z-Health puts on a three day workshop that includes R,I,S Phases. Wow. So what's in 'em and why would you want them, and who would want them? What's I-Phase and Why I-Phase?. I-Phase is the second stage of the Z-Health template. It's where you can get all sports specific with the application of the drills, and where it goes from postures in neutral stance to crazy pattern stuff. When Switch Up from R-Phase to I-Phase (and how)? WORKSHOPS: I also run workshops on kettlebells, z-health, and/or general performance tuning (you will get faster - even if like me, you've thought your were slow). Here's a nice discussion by Jez Davis (unsolicited even) on the highlights of one such workshop with Rannoch Donald of Simple Strength. And another by Chris Highcock of Conditioning Research. If you'd like to host such a workshop, please email. Let's make it happen. applying z-health to strength practice: the perfect rep quest series.